What Is a Braille Nature Trail? 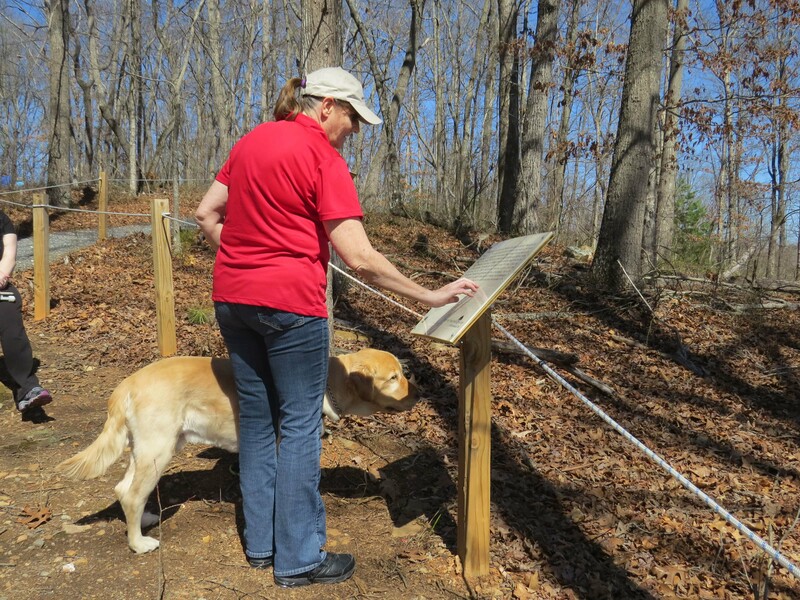 A Braille Nature Trail is a nature trail with Braille informational signs and physical aides that allow the visually impaired to experience the trail unassisted. Braille trails usually include a guide rope for the visually impaired to hold and follow along the path with markers for Braille informational signs. Some trails have tactile walkways to provide direction, others have audio components such as guided audio tours or smartphone access, and many are wheelchair accessible. The first Braille Nature Trail was dedicated in 1967 near Aspen, Colorado. A science teacher named Bob Lewis was always interested in engaging his students in nature. After picking up a book about the inventor of the Braille alphabet, Louis Braille, Lewis had an idea to make a nature trail accessible to the visually impaired and add informational Braille signs that would engage visitors in sensory experiences, bringing the visually impaired closer to nature. The "Braille Nature Trail" concept was born, and the concept was soon being duplicated across the country. A sensory garden is designed to provide tactile experiences through the use of specific plants in a specially designed layout to create opportunities and accommodations for the visually impaired and others with disabilities to enjoy the touch, sound and smells of the outdoors. Sensory gardens usually have Braille informational signs and aromatic plants to touch and smell, and can also have audio features, guide ropes or rails, raised garden beds, and tactile pathways for the visually impaired to utilize to walk along the paths unassisted. Many sensory gardens are also wheelchair accessible. In 1939 the first Sensory Garden was created at Belmont Park in Exeter, England. The garden was the idea of Exeter resident Daniel Manning, who was the Devon Horticultural Superintendent and a devoted gardener. During a visit to a London park, Daniel noticed a blind woman enjoying touching and smelling an Artemesia plant, inspiring him to create a public garden for the blind. Sensory gardens are now found in Botanical Gardens and other public parks and green spaces all over the world.